The Porsche 908 was actually a series of race cars that the company produced between 1968 and 1971. We’ve already featured three variations: the 908/2 Longtail Spyder, the 908/03 Spyder, and a 908/03 Spyder Turbo. They all look different. For instance: this one has a top. 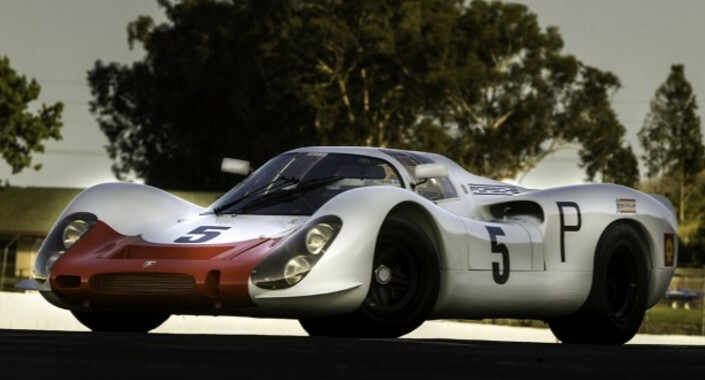 After those three races, Porsche was quickly on to other styles of the 908 and its successive siblings. This car went to a privateer in Switzerland who used it in hillclimbs (which sounds like an awesome amount of overkill). It was wrecked slightly in 1974 and later repaired. In the last 10 years this car has seen use in historic racing and many shows. If you’ve been hunting for a true, usable factory Porsche racer, look no further. It should bring between $3,000,000-$3,300,000. Click here for more info and here for more from this sale. 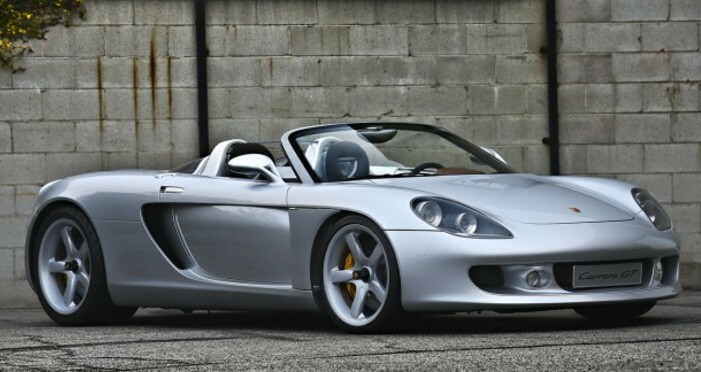 This Carrera GT is special. It’s the only one like it – it’s a true prototype. 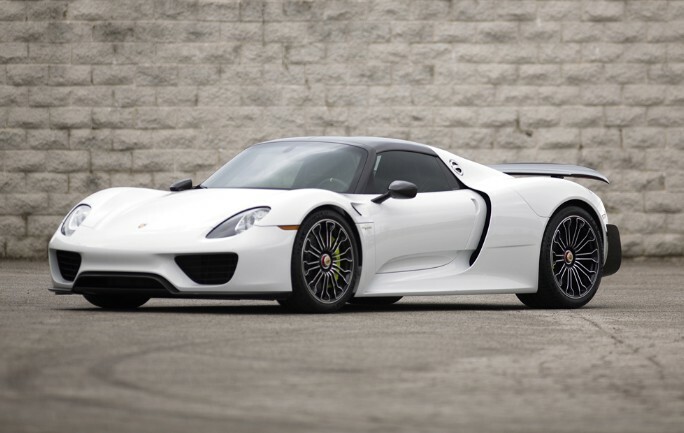 The production version of the Carrera GT lasted from 2004 through 2007 with 1,270 produced. This car was actually built in 2000 – four years before production started. Yes, it looks pretty similar to the production version, but if you look closely you’ll notice that it’s really not that similar. In fact, it is said that it shares almost zero pieces with the production version. The engine is a 5.5-liter V-10 making 558 horsepower. That’s 200cc and 47 horsepower less than the road-going version. The engine is borrowed from a Porsche LMP car – as were many other parts. Two prototypes were built but this was the only one that was actually driveable. This car comes from Jerry Seinfeld’s collection and, strangely, prior to his purchase (directly from Porsche in 2007), Porsche removed the ECU so the car can’t actually be used. In addition, any purchaser of this car has to agree to terms and conditions that allow Porsche the first right of refusal if they ever want to sell it. The new owner is also not allowed to drive it. Kind of strange, but it puts the new owner in more of a caretaker role than anything. The pre-sale estimate is between $1,500,000 and $2,250,000. Click here for more info and here for more from Gooding & Company. O.S.C.A. was founded by the Maserati brothers after they left the company that bore their name. The company, whose initials stood for Officine Specializzate Costruzione Automobili – Fratelli Maserati S.pA., was set up in Bologna in 1947 and lasted through 1967. They built mostly racing cars although some road cars were available as well. That was the final race for this car under Cunningham’s flag (it had earlier appearances in regional events). It then went to a privateer who continued to use it. It has been restored to its original Cunningham livery with the 860cc engine. This is a model that saw low production numbers and it should bring between $650,000-$800,000. Click here for more info and here for more from this sale. Update: Sold, Gooding & Company, Pebble Beach 2016, $605,000. The GT40 is the baddest car Ford ever built. It came into existence because Henry Ford II wanted to beat Ferrari. The cars were built in the U.K. and while the cars were initially designed for track dominance, Ford did build and sell road-going models. 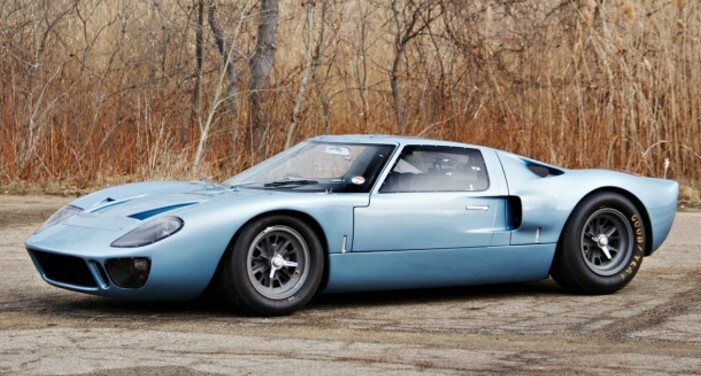 The Mk I GT40 was the original design and they used a 4.7-liter V-8 making 390 horsepower. This particular car was built specifically for road use and was used by Ford as a promo vehicle in the Philadelphia area. The original invoice on this car was $10,000. In 1966. Yikes. It’s had a number of owners on both sides of the Atlantic and was comprehensively restored in 2009. GT40 production numbers can be a little confusing but about 107 were built in total with about 87 of those being Mk I cars. And off those, only 31 were Mk I road cars. They always draw a crowd and road cars aren’t always easy to come by… this one should bring between $3,200,000-$3,600,000. Click here for more info and here for more from this sale. 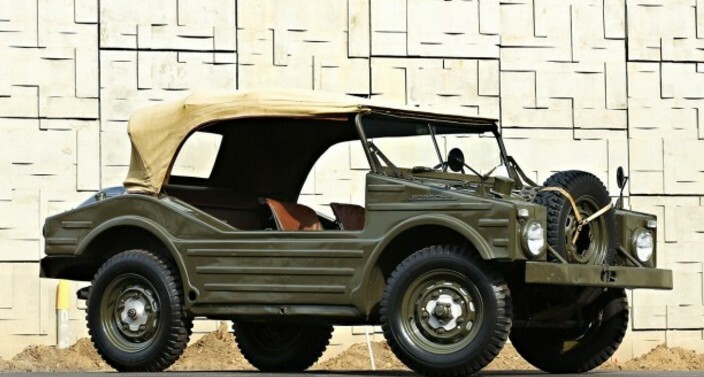 Jagdwagen is a German word that roughly means “hunting car” and it was a title applied to a handful of basic German machines built by the like of Isetta and Porsche, among others. After WWII, a couple of German companies vied for government contracts for military vehicles. Ultimately, DKW won out and the Porsche 597 was relegated to obscurity. Powered by a 1.6-liter flat-four making 50 horsepower, it has four-wheel drive and is amphibious. While the car was intended to be used by the Army, most of the 597s built were for civilian use. In fact, of the 71 total constructed, 49 were sold to the public, including this one that was bought new in California. The Prototype was built in 1953 and production lasted from 1955 through 1958, with this example being among the latter part of the production run. It is all-original – seat covers, top – everything. Jerry Seinfeld acquired it in 2010 and, thought to be one of 15 remaining, it should bring between $350,000-$425,000. Click here for more info and here for more from this sale. The Ferrari 330 was a series of cars built by the House of the Prancing Horse over a period of years lasting from 1963 through 1968. The 330 GTC (and it’s convertible sibling, the 330 GTS) were built between 1966 and 1968. 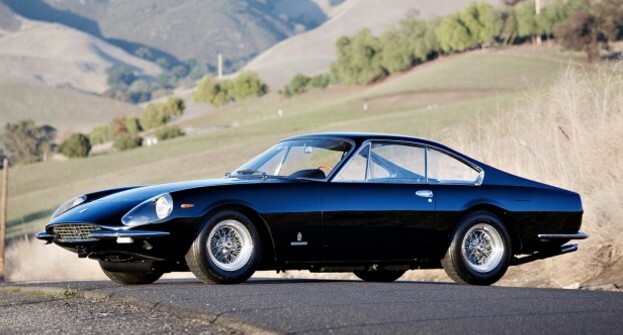 The 330 GTC was the second-most-produced model among the few different models built. But this is a Speciale – it wears a special body courtesy of Pininfarina. The drivetrain is the same: a 4.0-liter V-12 making 300 horsepower drives the rear wheels. Pininfarina bodied four 330 GTCs with this body work. The front resembles the 365 California and the rear features a dramatic, vertical rear windscreen and sloping side panels that make the car look mid-engined when the engine is actually up front. This is car number three of four that wear this styling. It was sold new to a woman in Northern Italy. Less than a decade later, it was in the U.S. and it would bounce between owners on the two continents for the next twenty years before the current owner acquired it in 1994. It was restored in the late 1980s and hasn’t been shown at many major shows. It should bring between $3,400,000-$4,000,000. Click here for more info and here for more from this sale. The Fiat 600 was a city car that slotted in the Fiat lineup right above, you guessed it, the Fiat 500. It was built between 1955 and 1969. The 600 Multipla was minivan-like five-door, six-seat version of the 600 that was built between 1956 and 1965. The cars were constructed at Fiat’s Mirafiori plant in Turin. The 600 Mirafiori was built – at the request of Fiat president Gianni Agnelli – internally by Fiat to transport visitors (specifically, VIP visitors) around the Fiat plant and campus in Turin. 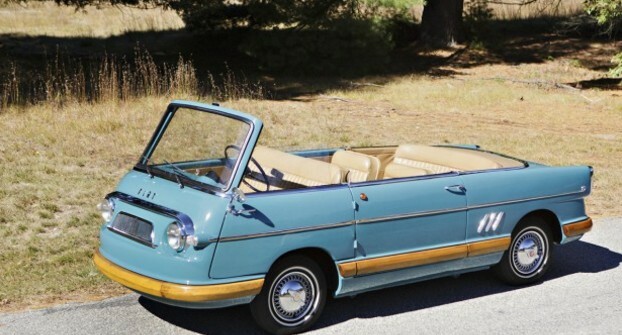 It is based on the 600 Multipla and has a removable panoramic hardtop and is powered by a 29 horsepower 767cc straight-four. Five were built between 1956 and 1958 and it is thought that this is the only survivor. When this thing’s useful life concluded, a Fiat manager took it home and kept it until 1995. It was restored in the 1990s and this is likely the first time one of these has ever been offered on the open market. It should bring between $150,000-$200,000. Click here for more info and here for more from this sale. 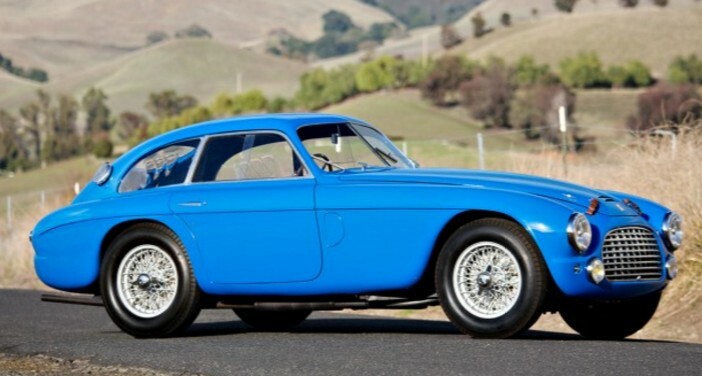 The Amelia Island Concours d’Elegance occurred in March, and with it, a slew of amazing sales, the first being Bonhams’ auction. The top sale was this much-ballyhooed (and rightfully so) 1930 Cord L-29 Town Car by Murphy for $1,760,000. 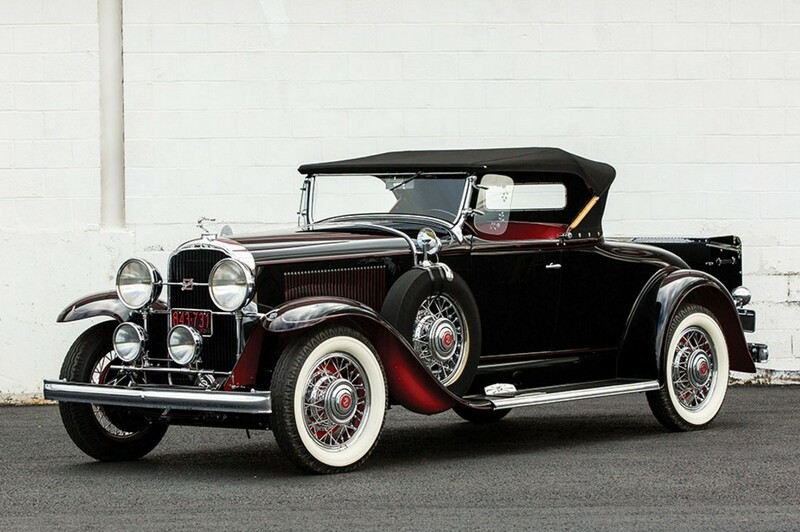 Of our feature cars, the top seller was the Stutz Super Bearcat for $1,012,000. The Templar Touring brought a more reasonable $60,500. Two cars failed to sell: the Thomas and the Wanderer. The “French-Front” Oldsmobile sold for $94,600 and the 1911 EMF went for $242,000. And last but not least, the Wills Sainte Claire sold for $151,250. Click here for full results. 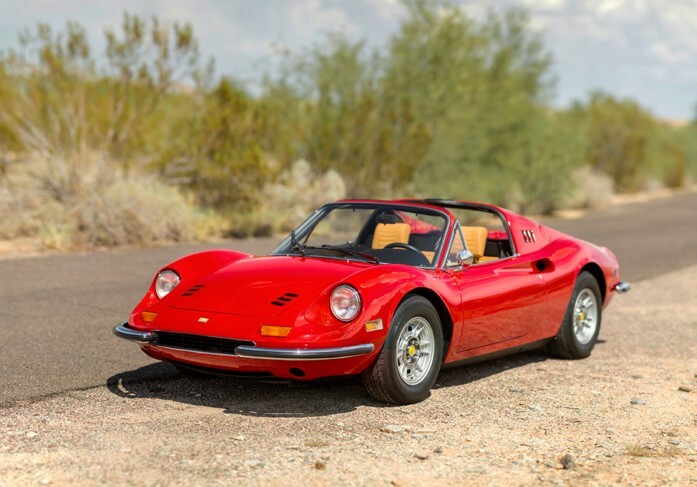 Next up is newly re-branded RM Sotheby’s and their Amelia Island sale, where the top seller was out featured Ferrari 400 Superamerica for $6,380,000. Other million dollar feature cars included the 427 S/C Cobra for $2,117,500, the Jaguar XJR-9 for $2,145,000, and a previously-featured Duesenberg that proves a paint job can go a long way. It sold for $1,155,000. 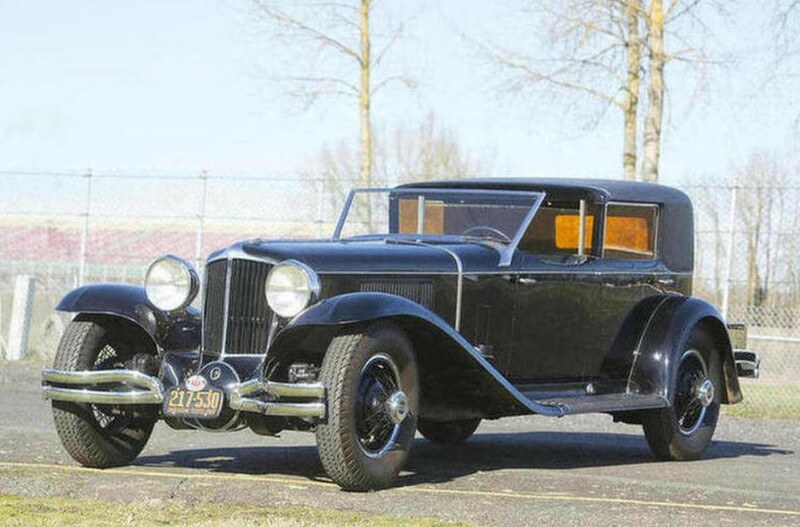 Another previously-featured car that showed up at this sale is the 1932 Marmon HCM Prototype. It brought $429,000. I’m going to call out this 1952 Kurtis 4000 that finished 5th at the 1952 Indy 500 as most-interesting non-feature car. It sold for $495,000. On a related note, the Miller 91 brought $770,000. And the beautiful Stutz DV-32 sold for $522,500. Check out full results here. 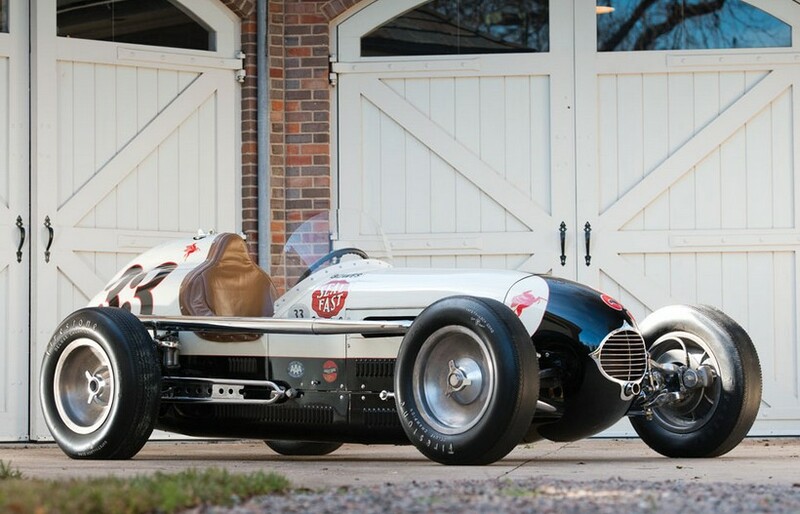 The third Amelia Island sale (well, second if you’re going by the calendar… third in our rundown) is Gooding & Company’s sale. 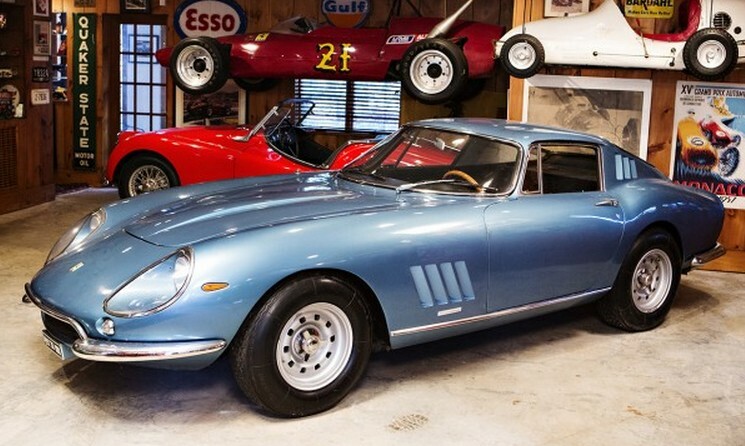 The top seller was a 1967 Ferrari 275 GTB/4 that has been in the same family for 40 years. It brought $3,300,000. The top seller of our feature cars would’ve been the Maserati 200 SI, but it failed to sell (as did the Duesenberg from this sale). Instead, it is the AAR-Toyota Eagle for $660,000. The March-Cosworth went for $231,000 and the first Lotus ever sold to a customer sold for $247,500. Check out full results here. 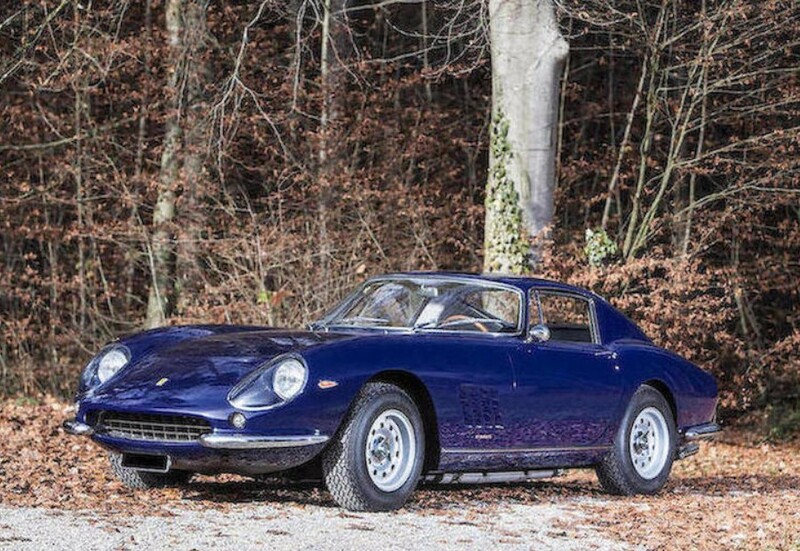 Bonhams had another sale in March, in Goodwood. The top sale was our featured Frazer Nash Le Mans Coupe for $695,854. The other Frazer Nash failed to sell. 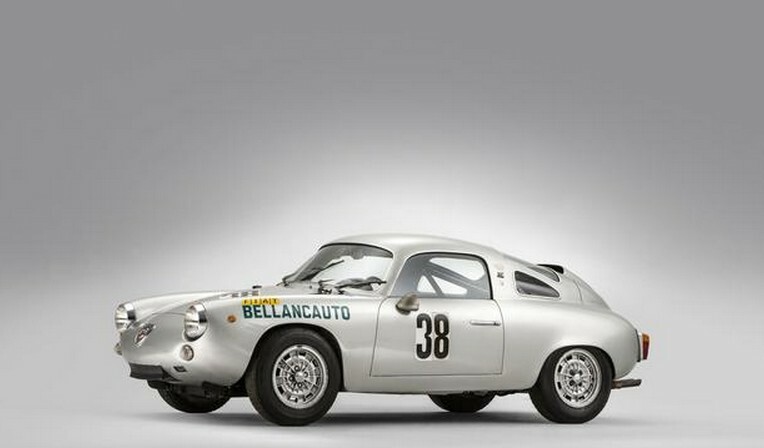 Interesting cars included this 1961 Fiat-Abarth 1000 Bialbero Record Monza by Zagato for $94,089. The H.R.G. 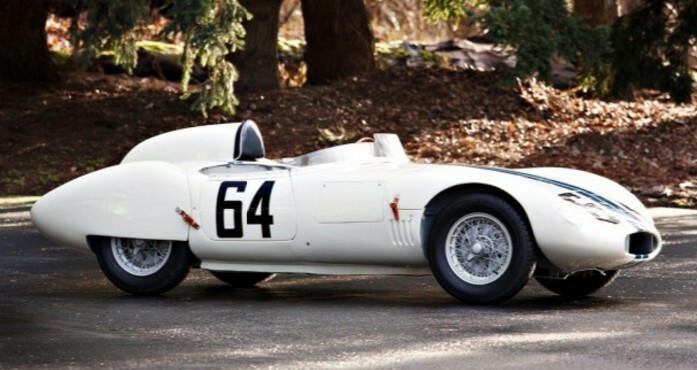 Le Mans sold for $243,444. And the Audi Quattro Rally car sold for $368,210. Click here for full results. And finally, Osenat’s March sale, in which our featured Aryathis failed to sell. The top sale was this 1939 Citroen Traction Avant 15/6 Cabriolet for $661,435. Click here for full results. 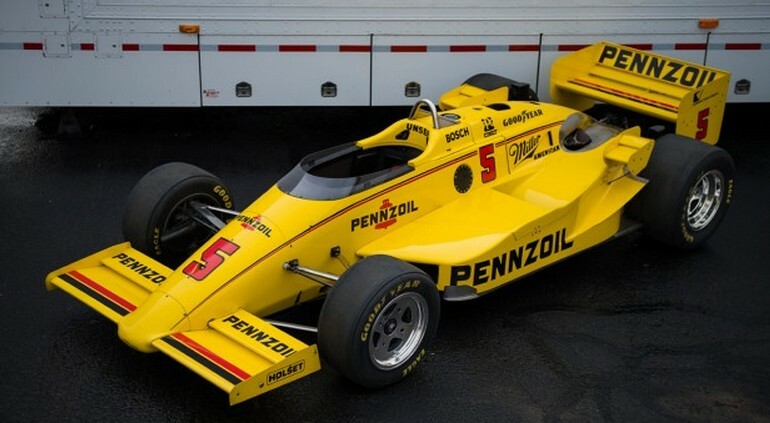 We’ve actually featured a March 86C before, the 1986 Indy 500-winning car. This is the previous year’s model, the 85C. This car was campaigned by Penske Racing. So what if the car never won? It finished in the top five in all but two of the races it competed in and ran 12 of that season’s 14 races. The car was last used around 2000 when it was driven in a historic event at California Speedway. It’s pretty cool, plus it has that awesome Penske/Pennziol paint scheme. It can be yours for between $200,000-$250,000. Click here for more info and here for the rest of Gooding & Company’s lineup.